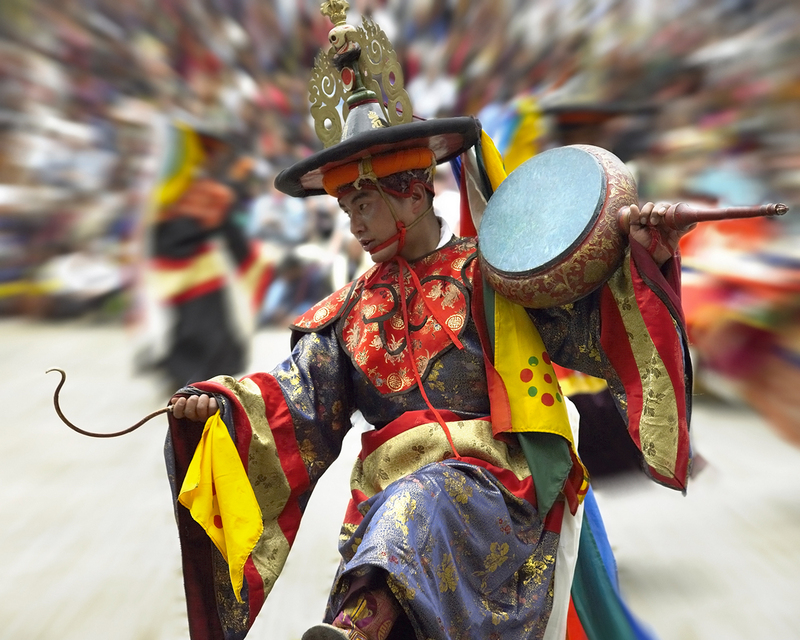 Your flight lands in Paro at 17.45.You will meet our representative at the airport and will be driven to Thimphu. Check in hotel Phuntsho Pelri. Today you will do Thimphu sightseeing till lunch. Takin, the national animal of Bhutan is said to be created by Lam Drukpa Kinley,who’s monestary you will visit tomorrow. After lunch drive to Punakha(driving hour 2.30hrs), the old capital of Bhutan. Drive over a pass (Dochu-la 3150mtrs) La in Bhutanese means pass. There are 108 chorten called “Druk Wangyel Chorten” with colorful prayer flags surrounding the area, which makes you fresh and feel peace. Visit the Druk Wangyel monastery. After that we drive down the hill till we feel the warm air of Punakha valley. Overnight in Punakha, Damchen Resort. Day 03: Punakha (1350 mtrs) and after lunch drive to Paro. The Dzong was built in 1637 by the unifier Zhabdrung Ngwang Namgyal and it was named as Pungthang Dechen Phodrang (Palace of Great Happiness). The Dzong is beautifully located in between the two rivers called Pho (male) and Mo (female) chhu (river). The Dzong is surrounded by stories and myths, and you just have to ask your guide or local people they will have some great stories of the past. It was the capital of Bhutan till 1955. The establishment of the Wangchuck dynasty on 17th December, 1907 took place here and the first National Assembly was also held in the Dzong in 1953. Punakha dzong continues to be the winter residence of the Je Khenpo (Chief Abbot) and the central monk body. The war materials captured during the Tibetan invasion can be found in the dzong. Chimi Lhakhang, is a small 15th century temple famous for its fertility endowments/rites due to the blessings of Lam Drukpa Kuenley in west known as Devine Mad Man. The temple sits on a hillock shaped, as only Drukpa Kuenley could describe it “like a woman’s breast”. 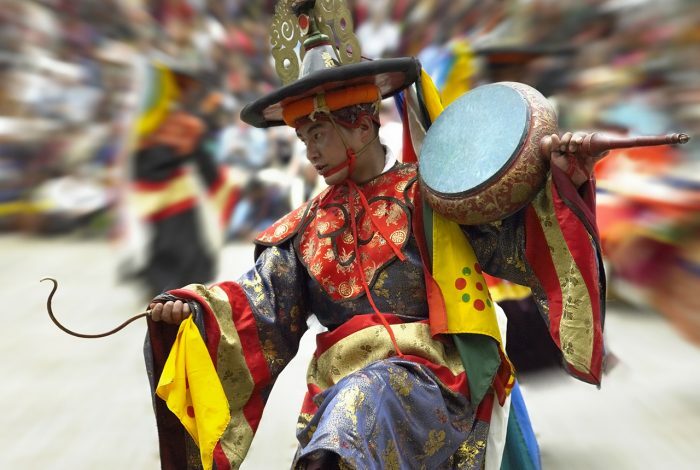 The word ‘Chimi’ translates as “No Dog” and is traced to the story of how Drukpa kuenley subdued the demon of Dochula. Apparently, Lam Drukpa Kuenley had followed the demon of Dochula down to the valley of Punakha and Wangdue. It is believed that the demons had disguised herself into a form of dog. He then subdued the dog and buried it under a mound of earth, marking the place with a stupa and making a prophecy that a temple would be built on the spot in future. After lunch we drive back to Paro. Driving hour is 3.5hrs. If time permits, on your way to Paro visit Tashicheo dzong in Thimphu. Tashichhodzong, the “fortress of the glorious religion” was initially erected in 1702 and restored by the Third King in 1950s. Tashichhodzong houses some ministries, His Majesty’s secretariat, and the central monk body. You can visit this Dzong after office hours on weekdays and on weekends from 9am to 5.30pm. After an early breakfast visit the Tiger’s nest (Taktshang). Hike up to the famous cliff-hermitage called Taktsang, the “Tiger’s Nest.” This monastic retreat is built into a sheer cliff face, high above the Paro valley. The Buddhist saint Padmasambhava flew across the Himalayas on the back of a tiger and landed here, bringing Buddhism to Bhutan. The trail to the monastery climbs through beautiful pine forest and an occasional grove of fluttering prayer flags. Day.5: Departure For own destination. After breakfast,around 9.45am drive to airport for your onward destination.Our representative will help you with exit formalities and bid you farewell.